More than 200 people, including employees, friends and members of the organization, participated yesterday in the Open House Day organized at the headquarters of Humana in L'Ametlla del Vallès, Barcelona, ? ?on the occasion of Human Day 2012 and the celebration of the XXV Anniversary entity. It was also presented the award Socio-Environmental Responsibility to municipalities Ruby, Montgat, Castelló d'Empúries, Badia del Vallès, Seva and Igualada and Caritas Igualada. Furthermore, Sorli, Petrocat and Caprabo were awarded the Corporate Social Responsibility. 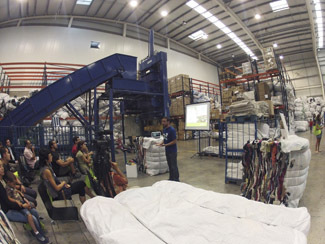 Apart from the awards ceremony, there was a sign on Cooperation and Textile Recycling Seminar. The aim of this exhibition is to show the reality of the communities in which Humana conducts its projects through everyday items both for their work and their work at home. Wells and rope pumps, improved stoves, solar panels, mosquito nets, HIV test on ground, become essential instruments to carry out cooperation projects since dotting the population base infrastructure which makes a significant improvement in their lives. The exhibition is made up of some of these elements, as well as illustrative panels on their functioning and role within cooperation projects. 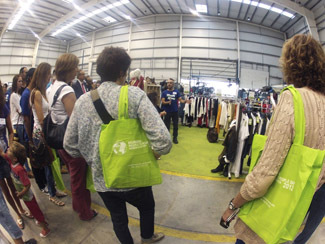 On September 17, at the sorting plant in Valderrubio Humana (Granada), in Lisbon on 24 and 27 will take place in Leganes similar events, which also include the Awards Textile Recycling for public and private entities their respective areas of influence.